For the first time H&M will do a mini print collaboration with US!! for Baby Exclusive. 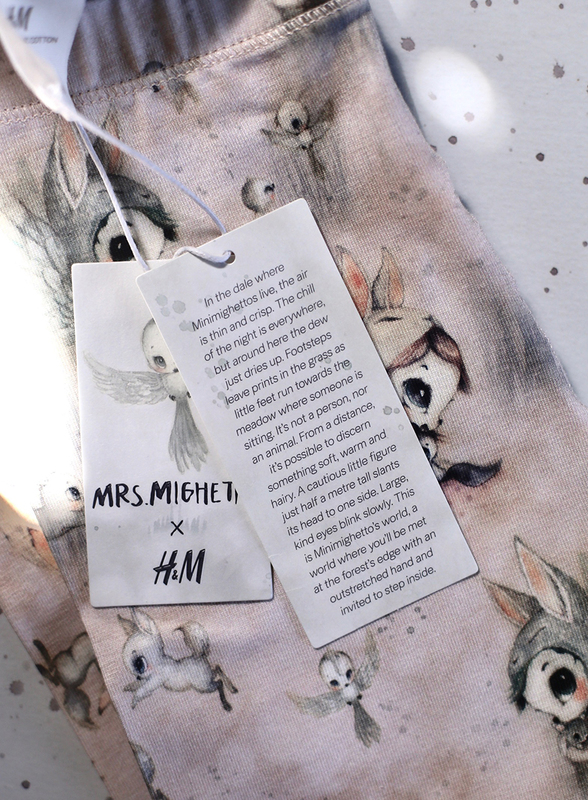 H&M describe us in their press releases: "the Swedish fairy tale-brand Mrs Mighetto" (so cute!!) The Mini Mighetto’s will decorate parts of the Baby Exclusive collection and home decorations for new-born and baby. The collection will launch exclusively online from June 14, 2018. We are extremely proud and happy to be a part of the first design collaboration for Baby Exclusive. We instantly felt that our motifs would be a great fit for the well-coordinated colour and material choices at Baby Exclusive. 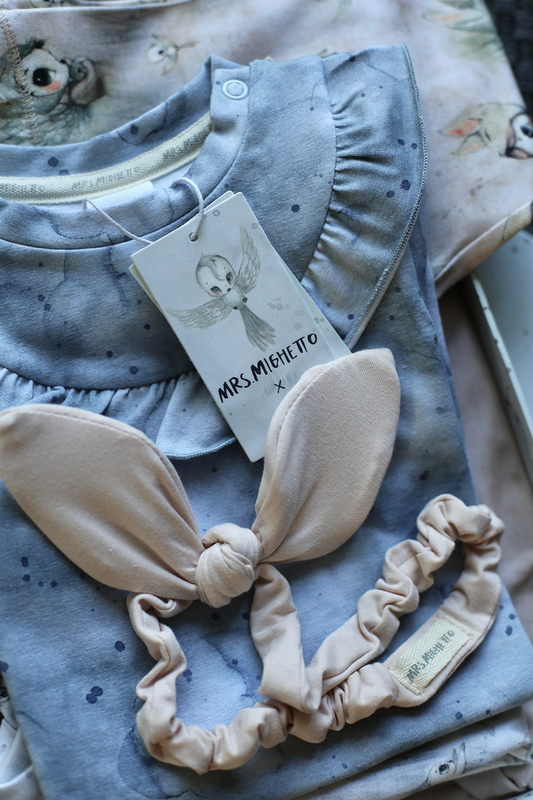 The collection contains different clothes in blue clouds, dusty pink or grey mighetto-pattern. The collection also contains paper boxes and one Mini-Toffle pillow. Sizes starts from 50 up to 104 and are sold ONLINE ONLY from June 14th (don’t know the time?) on all markets where you may buy H&M Baby Exclusive concept*. Will this be available in Polen, Australia, UK, Us, Norway....? In the dale where Minimighettos live, the air is thin and crisp. The chill of the night is everywhere, but around here the dew just dries up. Footsteps leave prints in the grass as little feet run towards the meadow where someone is sitting. It’s not a person, nor an animal. From a distance, it’s possible to discern something soft, warm and hairy. A cautious little figure just half a metre tall slants its head to one side. Large, kind eyes blink slowly. This is Minimighetto’s world, a world where you’ll be met at the forest’s edge with an outstretched hand and invited to step inside. Down in the dale all the little figures sit huddled together. The night ritual has begun in the land where the Minimighettos live. They sit hand in hand, slowly rocking each other to sleep. Their pets are the first to fall asleep, next the smallest Minimighettos, then the slightly bigger ones, and finally the biggest, into a peaceful, special slumber. When sleep has set in, it conjures enough dreams for all the children in the world. Tack för att du hittat hit.